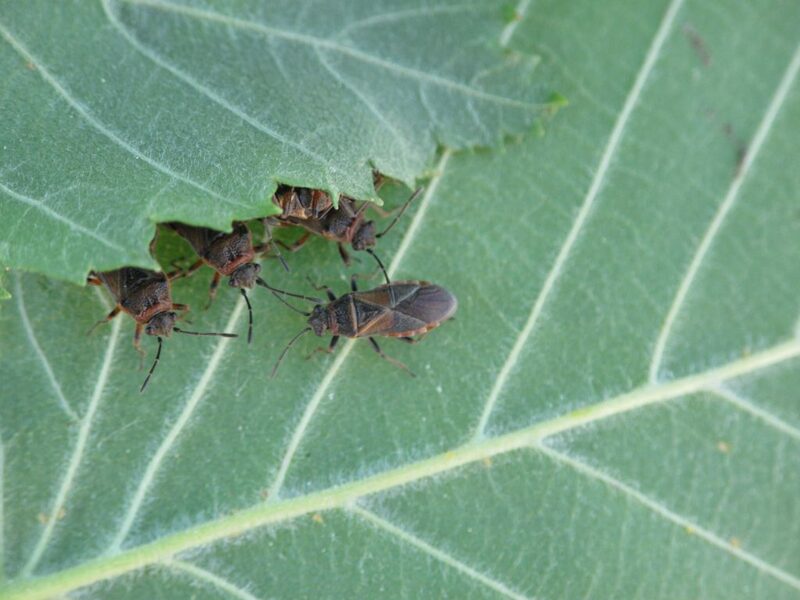 For a creepy crawler that was discovered in Utah just three years ago, the elm seed bug has become a real pest. It is now widely reported along the Wasatch Front, in Cache County and in outlying areas such as Duchesne County to the east, Tooele County to the west and Grand County to the south. Ryan Davis, Entomologist at Utah State University Extension, said calls have been coming in for weeks looking for help to deal with these bugs. He said they have a different life cycle than another pest, the box elder bugs which thrive in the spring and the fall. They fly from the elm trees, walk around on houses and look for windows and doors, where they can feel cooler air coming out, then try to go inside. He said a website has the latest information to deal with elm seed bugs and that is <a href=”http://utahpests.usu.edu” target=”_blank”>utahpests.usu.edu</a> then click on “fact sheets” then scroll down and click on insects.